Today as I write this the sun is shining, the birds are in full voice singing, cawing and screeching around the Garden. 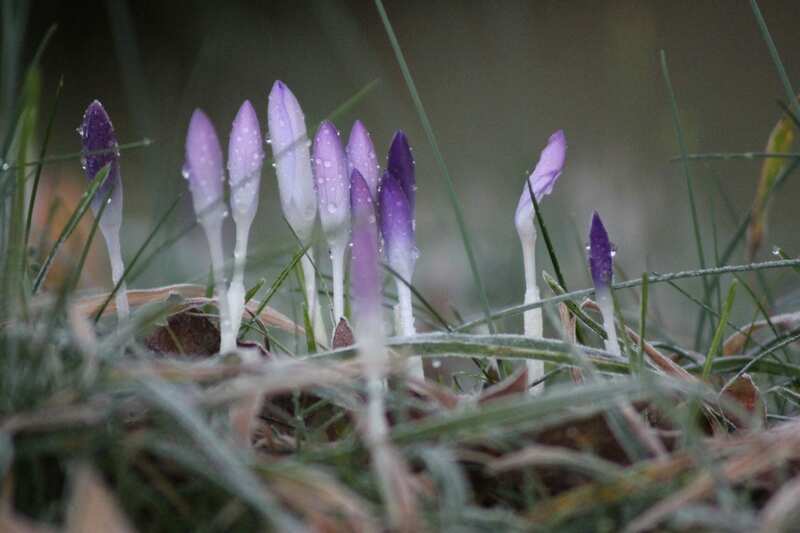 Bulbs are popping up, crocus are the first with daffodils a week away from carpeting the ground with yellow. Primroses are dotting grassy areas and bees are beginning to forage in the middle of the day; the minimum temperature that a bee can fly is said to be 13 degrees, so when you see one out and about you know the season is changing. In February in this part of the UK we get an extra two and a half minutes of light every day; after February and through March to June it is only two minutes. This is why a lot seems to change in February in the Garden, it is a conduit for spring; the end of January is incomparable to the beginning of March in terms of light, flower and the beginnings of warmth. We’ll still get ice, cold, wet and maybe even snow again between now and summer, but days like this make us feel that winter is nearly behind us. In the Garden there are exciting changes happening. Our South African display has had the framework of a traditional African roundhouse present for much of last year; as I write this it is being thatched with a South African reed called Cape thatching reed; Thamnochortus insignis, the building will then be rendered in a red cob. These features are important for bringing context to the plants around it, being a talking point and attracting people to the Garden where they can leave with maybe a lot, maybe a little, but some new knowledge of the plant world that they didn’t have before. We look forward to seeing you in the Garden, keep your eyes on the ground and enjoy early spring!